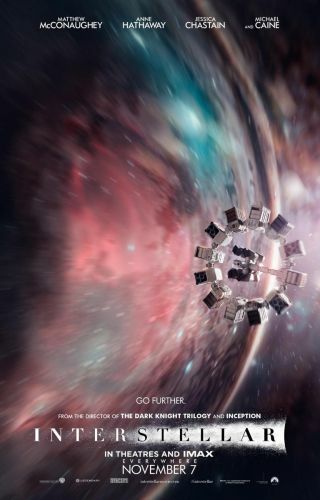 A poster for the 2014 film "Interstellar" shows the spaceship Endurance flying through a wormhole. R.L. Akers is the author of the "Gryphens Saga" — "Prometheus Rebound" (CreateSpace Independent Publishing Platform, 2013), "Prometheus Revealed" (CreateSpace Independent Publishing Platform, 2014) and the short story collection "Prometheus Rising" (CreateSpace Independent Publishing Platform, 2014) — which blends science fiction and military thriller elements to tell a story of humanity's present day, real-world response to the threat of alien invasion. Akers contributed this essay to Space.com's Expert Voices: Op-Ed & Insights. We Americans love our science fiction. But what's the proper balance between science and fiction? Is it possible to spin a yarn that is simultaneously satisfying and scientifically solid? Sometimes I wonder. Especially when it comes to Hollywood movies, I think many writers must live by the maxim, "Never let the truth get in the way of a good story." When I heard that the creative minds behind "Interstellar" included a real-life theoretical physicist , I sat up and took notice. Finally, I thought, here would be a movie that "got it right." And they did get more of it right than most films do, but some of the flaws were embarrassing: the ease with which spacecraft were shown escaping a planet's gravity well or the disappointing lack of "spaghettification" when one character decided to fly into a black hole. And don't get me started on the ending, which I suppose could have happened, but only because we can't comprehend what might happen in five-dimensional space. Basically, the screenwriters wrote themselves a blank check to make up any ending they desired, and in so doing, they destroyed my intellectual investment in the story. I only saw "Gravity" recently, having delayed the experience out of fear that it would unduly influence my work on my novel "Prometheus Revealed," which I was finalizing at the time of the film's release (there are several points of similarity between the stories). Even more so than with "Interstellar," I had high hopes for "Gravity" after a year of hearing that this movie indeed got the science right. And again, like "Interstellar," it did get it right more than most. But what about the heroes' ability to haphazardly jet between space stations, simply by squinting off in the distance and pointing themselves in the right direction? Or the fact that those real-life space stations actually exist on opposite sides of the planet? How about the completely unnecessary self-sacrifice of one character, who actually posed no danger at all to his friend? I could go on (and many critics have, as a simple Web search reveals), but my point is not to establish the (im)plausibility of these movies. My point is this: For some of us, these sorts of flaws damage a story's ability to satisfy. I propose that plausible science fiction is more satisfying than the alternative. It needn't be a question of balancing science and fiction. Why even frame the question as either-or? Why can't we have it all, allowing scientific plausibility to form the foundation of the writing process, then serve as a litmus test for every plot device or story element under consideration? The answer is that we can have it all, but it takes more time: more time writing and then rewriting, more time researching and fact checking — and then, after all that, more time rewriting again, because even if a storyteller managed to attain plausibility and consistency in each scene, chances are he or she introduced some overarching issues along the way that must be addressed. It all boils down to this: Is the writer more concerned with making the science fit the story or with making the story fit the science? The first is a very dark path, one that is — as Yoda would say — quicker, easier, more seductive. We Americans tend to go for quicker, easier and more seductive. But making the story fit the science is more satisfying, all things being equal. Interestingly enough, despite its flaws, "Gravity" satisfied me in a way that "Interstellar" failed to do — because one reality it captured with bone-chilling accuracy was the feel of floating alone in that perilous, utterly alien environment called space . For that reason, "Gravity" earns a place on my list of pretty good movies, flicks that serve as great conversation starters. But deep down, I will always wonder … with a little more work, and with an uncompromising commitment to including story elements only if they could happen in reality, might this story have been even more satisfying? Of course, in the final analysis, maybe I'm a hypocrite for taking exception to any of this — because the truth is that no one is looking forward to next December's release of the new "Star Wars" film more than I, even if it will prove to be a binge-fest of visible laser beams, spaceships zipping audibly through vacuum and impossible light sword duels.